Girl next door fashion is two years old at the end of December, so to celebrate I'll be looking back on my favourite outfits from the last year. 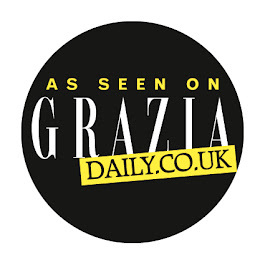 You can see my outfit favourites from December and January here, and February and March here. While I didn't put these photos up until 1st April, this outfit is actually from my 21st Birthday (on 30th March). Erick and I spent the day driving up the North shore of Lake Superior and to a lighthouse (where this was taken) and I wore this Modcloth dress, which was a birthday present from my parents. 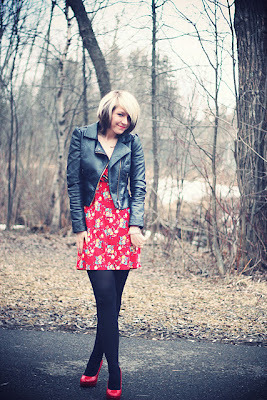 I used to wear heels a lot last year, because despite all the snow we had in Minnesota, I never really walked anywhere! I remember this day really well. I'd been in an awful mood and felt really down about myself, so I put on a pair of high red heels and a leather jacket and it made me feel fab. This dress is also from Modcloth and was another birthday present. That bloody Modcloth dress again! (I actually have a Weekend Remix planned with this dress- I've worn it about 10 times now!) 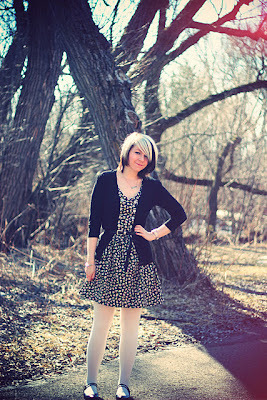 This outfit was inspired by Annebeth and I love the floral dress and white tights. Another great remix with this dress. I wasn't going to include this outfit because it's really simple, but this is the exact kind of thing I used to wear a lot last winter. I actually haven't worn an outfit like this for a long time, but it makes me smile and reminisce. I think my style has evolved quite a bit now, but I can see myself going back to this. Another not-too-exciting outfit, but I really thought this was a cute, simple outfit. I love my blazers! Oh man, do I love my red Zara blazer. And this lace dress. And red knee socks. Ergo, this outfit. I absolutely love this shoot I did with one of my best friends Michelle in our maxi dresses. Such good memories. The lovely folk at BabyPhat sent me this dress and it was my first ever maxi. Perfect for summer! This outfit is not at all one of the most dazzling of my outfits, but these photos Erick took were just lovely and it was just such a fun day, that this was without fail one of my all-time favourite shoots. 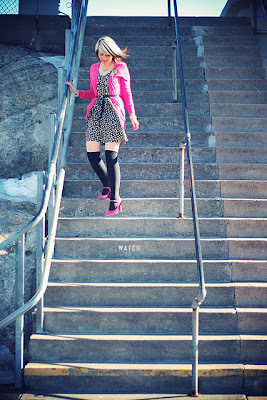 Taking these photos, dressed all in blue, in downtown Duluth by Lake Superior was just magical. Even though it was super-windy! 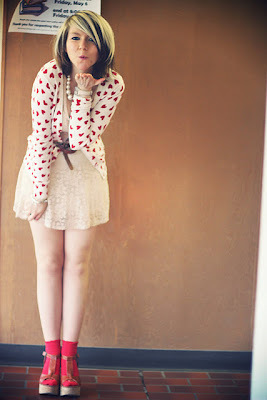 I'd had this cardigan for about 2 months before I took these photos because a heart-print cardigan seemed like such an impulse buy, but you guys absolutely loved this outfit, and the recurrence of this dress and these shoes. Oh wow, this makes me nostalgic. These photos were taken at Erick's parents' house while we were living there for a few weeks before we went to Chicago. 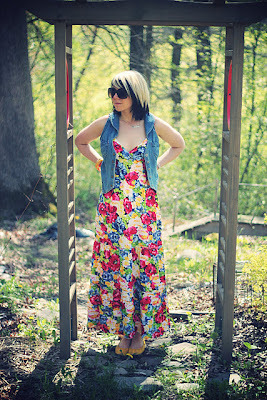 I adore this floral maxi dress and the denim waistcoat used to be my Mum's! Stayed tuned for my outfit favourites from the rest of the year! That last outfit with the floral maxi is still one of my all time favourites from you. It just looks so rad! Great outfits loving those over the knee socks.